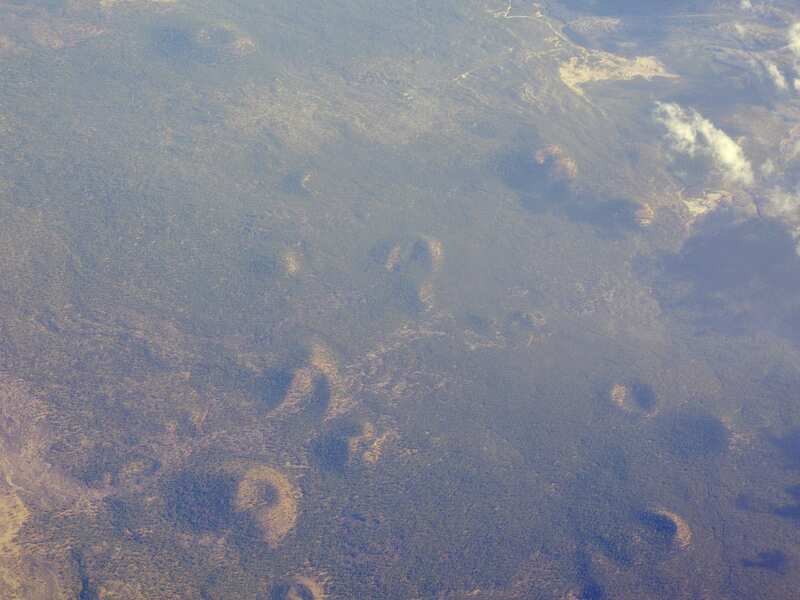 What are these mysterious craters? Can anyone tell me what they are? Volcanic craters, most likely. The Cascades are mostly volcanic, after all. You can see some similar-looking volcanoes here, just east of Lassen Volcanic National Park. And lots more near Lava Beds National Monument. And yet more... They are easier to spot in terrain view than satellite. Not the answer you're looking for? Browse other questions tagged air-travel identify-this landmarks geography volcanoes or ask your own question. What is this formation on sea, seen from the air? What (and where) are these points of reflection I saw from a flight? What are the candles outside in Denmark about? What are these mysterious green balls in the sea in New Caledonia? What are these long objects in Jakarta?